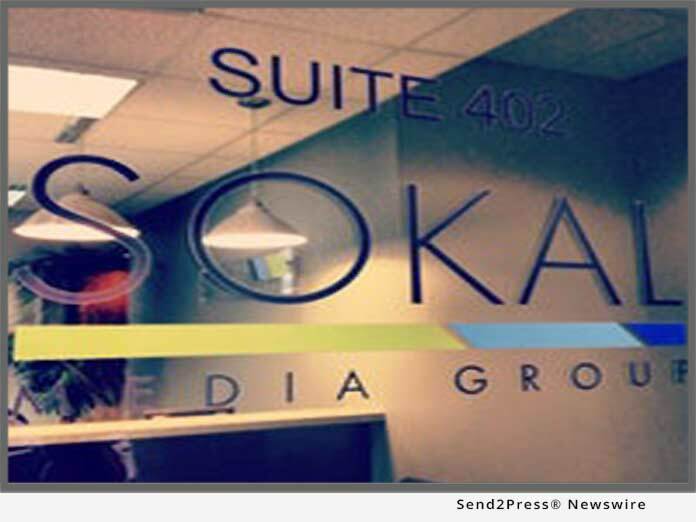 Sokal Media Group has opened yet another new pristine office -- in Dallas, Texas. Hired as the new VP of Operations, John McKay will step in to his new role as the agency continues to expand. Accumulating years of experience, Mr. McKay previously worked as the General Manager of Spectrum cable (formerly Time-Warner cable) in Raleigh N.C., and most recently in Dallas. Sokal Media Group is opening yet another new pristine office in Dallas, Texas. Hired as the new VP of Operations, John McKay will step in to his new role as the agency continues to expand. Accumulating years of experience, Mr. McKay previously worked as the General Manager of Spectrum cable (formerly Time-Warner cable) in Raleigh, and most recently in Dallas. "I couldn't be more pleased with the addition of this new location, and even better, having John McKay come on board in the role of VP of Operations," said Mark Sokal, CEO of Sokal Media Group. "I've known this man of integrity for quite a while. He played an integral role and believed in me when I started out in North Carolina. His support and encouragement have helped brand my business as the largest ad agency in the Carolinas." Launching the new office in Dallas will give local car dealerships a taste of what many other dealerships have found in Sokal's high standards and wide array of advertising offerings. "I've known Mark Sokal and his family for many years and have watched his business blossom," said McKay. "It's going to be an amazing opportunity to put my expertise and experience into this agency. I believe we will saturate the Dallas area with car advertising like they've never seen before." With headquarters in Raleigh, N.C. and offices in Mooresville, N.C. Sokal Media Group is the area's largest advertising agency focusing on automotive advertising. Sokal Media Group is dedicated to growing business for their clientele through multiple marketing and advertising services. As a full-service agency, they manage the entire project from start to finish. They execute everything from media buying, radio and television production, ad design, direct mail, search engine marketing, website design, website maintenance, and much more.